Relay-type coil used in Bally solid-state (SS) games. 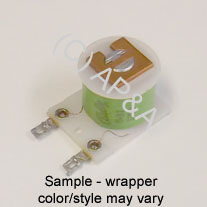 Also replaces Quality Coils # 01-1627 and Wico # 01-167200. Includes diode across solder lugs.